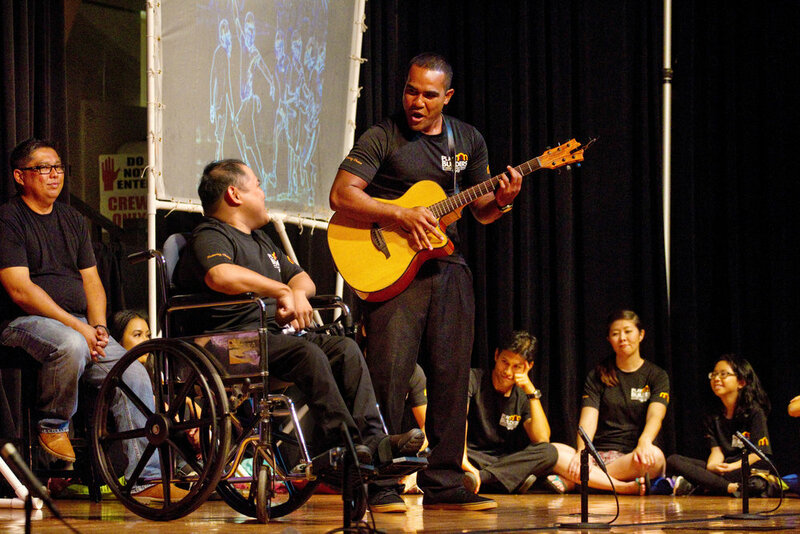 PlayBuilders of Hawaiʻi Theater Company, in collaboration with The Foster Care Training Committee, presented Dragonfly. The Story of a Young Local Girl's Journey Through Foster Care during the spring of 2017. 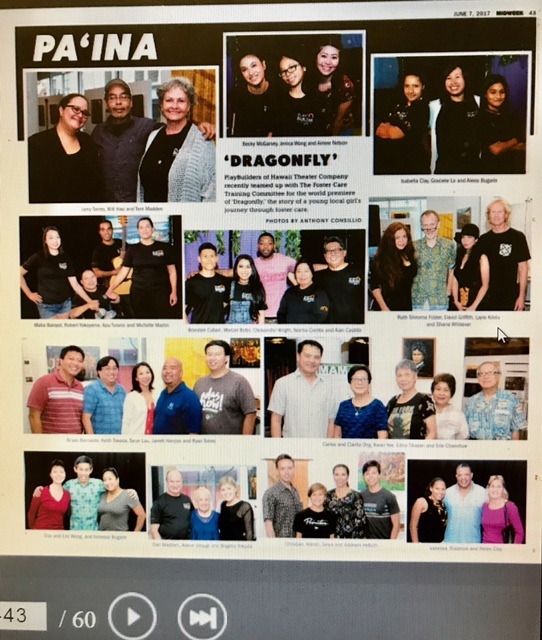 Dragonfly is a community engaged musical play based on story circles and interviews conducted by Terri Madden with Oahu's former foster youth, therapists and social workers in 2016. The songs were written by former foster youth Layla Kilolu and Apu Turano and arranged by Ruth Shiroma Foster. The play was developed during Sunday night workshops conducted over the course of 2016 with former foster youth at the ARTS at Marks Garage. The project was made possible by generous grants provided by The Victoria S. and Bradley L. Geist Foundation, and The Hawaii People’s Fund, and the support of members of The Foster Care Training Committee who represented service organiations such as Partners in Development, Catholic Charities Hawaii, Queen Liliʻuokalani Children's Center, Family Programs Hawaii, and the Department of Human Services. 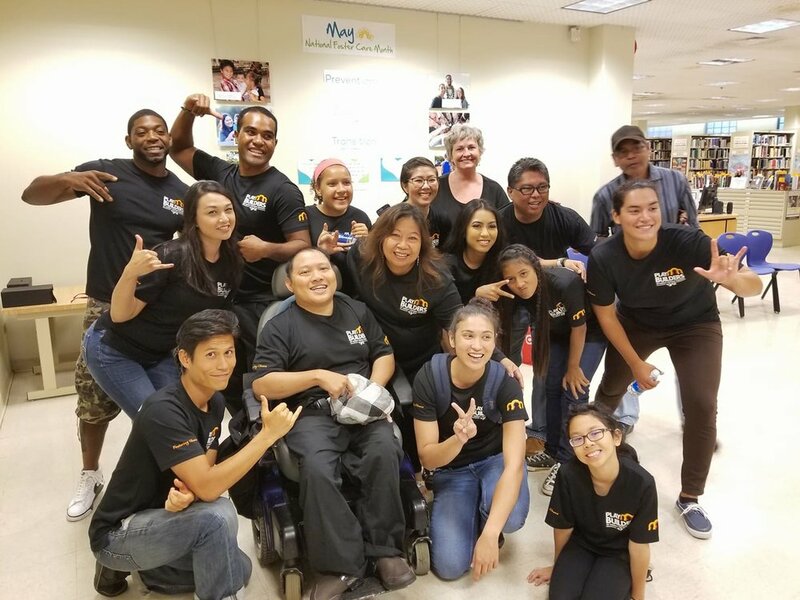 A special invited reading of the first draft of the musical was presented at Catholic Charities, Hawaii in November of 2016 to obtain permission from members of the foster care community to present the play to the public in 2017. Permission was granted (so long as we fixed certain parts of the script concerning various laws and procedures that had changed since our former foster youth had aged out). The script was then completed in January of 2017, with auditions being held in February of that year. We rehearsed in found space and finally presented the musical 11 times at 5 different locations around Oahu in April and May. Today, we are working with high school drama teacher, Robin Kitsu, who has agreed to produce Dragonfly with the Nanakuli Intermediate and High School. We are helping him by providing musical tracks, and by conducting several community story circles with the students so we can create their own personalized version. Dragonfly will be presented in November of 2018, just in time for National Adoption Month. Based on real life experiences of Aunty Allene and Uncle Arthur Uesugi of Waianae, who fostered over 300 children in Waianae during their foster care years, Terri Madden weaved other stories collected, based in truth, into a fictionalized account of Tara, a young girl who is removed from her birth home at the age of 4 and then struggles throughout her childhood to find love and acceptance. Through her childhood journey of constant change and loss as a foster youth,Tara eventually learns that only forgiveness and self acceptance can lead her to an ohana of her own making, and her true purpose in life. This beautifully, and raw story was performed by 17 actors, several who are former foster youth. "I honestly think this play will make a difference." "Dragonfly humanizes the system: gives hope, shows how resilient the youth are and the incredible amount of changes they go through." " I love that the play honors a long time caregiver and her late spouse and their dedication to these children." " Music and lyrics are awesome. The feelings, stories, and diversity displayed." " I loved the music! I loved Danni’s dance." "The original songs written by former foster youth are amazing"
"I very much loved the play... It was touching and emotional." Alexis Bugarin (Singing Foster Child), Isabella Clay (Foster Kid #2, Nadia). The play is made possible through the support of The Hawaii Community Foundation, The Victoria S. and Bradley L. Geist Foundation, The Hawaii People’s Fund, Chinatown Soup, The Mayor’s Office of Economic Development, Aloha Graphics and East Oahu Realty. Organizations who have donated their venues for the free performances include The Mayors Office on Culture and the Arts, Calvary by the Sea Lutheran Church, Dot’s Restaurant, Wahiawa, and New Hope, Leeward. and the over 300 children he and Aunty Alleene fostered together in Waianae.